TabSprint is a mobile application which streamlines the payment process at bars, clubs, and restaurants. 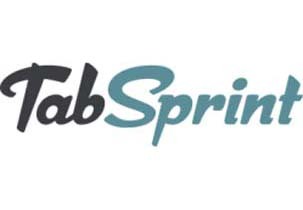 TabSprint dramatically reduces the overhead of financial transactions by eliminating time traditionally wasted opening and closing tabs at Point of Sale devices. Payment with TabSprint is as quick and easy as the touch of a finger. Leave your wallet behind and never worry about waiting in long lines when you and your friends are ordering with TabSprint. The days of waiting twenty minutes for a drink are a thing of the past.